From concrete replacement to drying basements, The Quality 1st Companies can help you! Don't let those cracked, bowed, or settling walls get any worse! We specialize in all types of foundation repairs to stabilize your home and keep it safe. Moist, wet basement? No problem! We have the basement waterproofing solutions to dry your basement for years to come. We supply concrete for any project you're tackling! 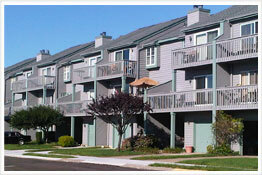 Our team of contractors has a wide range of specialties to help solve any home repair problem you may be experiencing. Experience! Knowledge! Skill! We Excel under pressure! Quality 1st Contracting has been serving North Jersey since 1986 as a home improvement contractor. We work well under pressure but we do not use high-pressure sales tactics or gimmicks to sell you on our services. Whether your need property association repairs, basement waterproofing, foundation repair, crawl space repair, concrete sidewalk replacement, concrete pouring, landscaping services or other projects, just contact us for a price estimate. Our friendly, expert contractors will answer all your questions and concerns while getting the job done the right way. If you have any questions just ask us - we've been doing this for years and we bring our expertise to you and your property's project. We Repair While You Relax! Our specialists at Quality 1st Contracting work hard to get the job done right so you can relax while we work to fix your home or property's buildings in New Jersey. 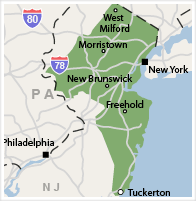 The service area we work in includes Bergen, Essex, Hudson, Hunterdon, Middlesex, Monmouth, Morris, Ocean, Passaic, Somerset, and Union Counties in New Jersey and Richmond County, NY. Just contact us today to get started on your property.